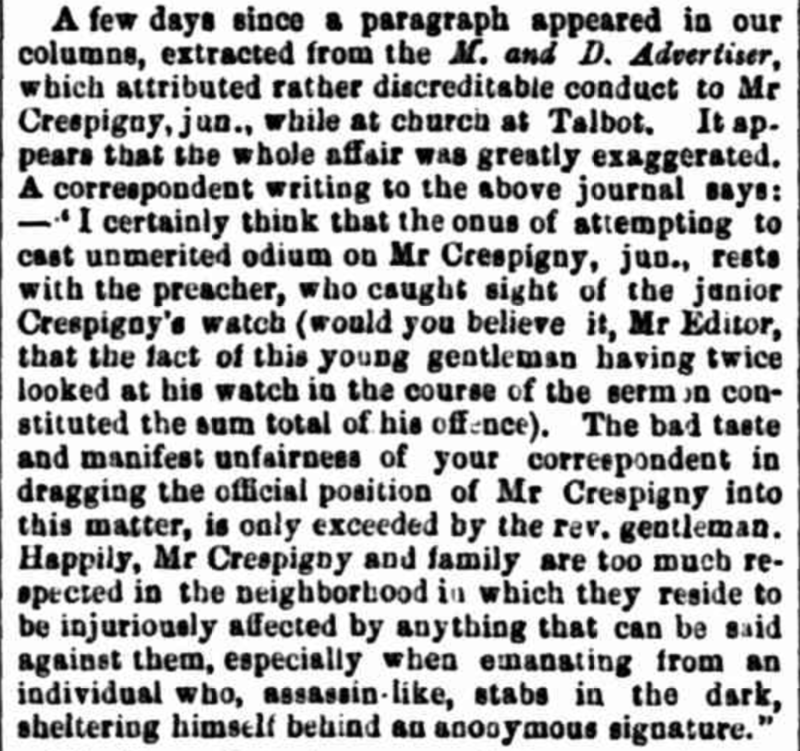 When he was sixteen, my great great grandfather , Philip de Crespigny (1850-1927), was accused of having looked at his watch twice during a sermon at Talbot. 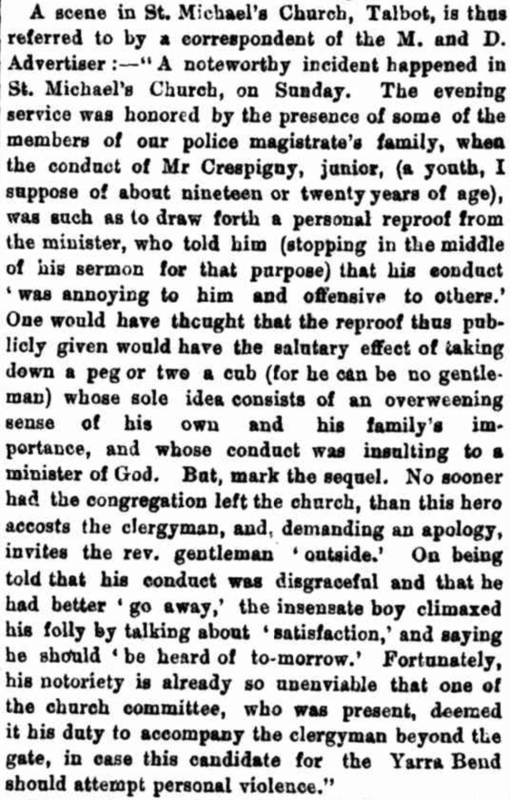 His offence was reported by several newspapers. The Maryborough and Dunolly Advertiser has not yet been digitised for that year. Yesterday my husband and I attended an organ concert in St Michael’s and All Angels Anglican Church Talbot. The church we were in dated from 1871, replacing an earlier building erected in 1862. There does not seem to be any sign of the previous church building in Argyle Street, Talbot. The organist was very talented but even so I confess I glanced at my neighbour’s watch at least twice during an Elgar piece, which seemed to go on for a while. 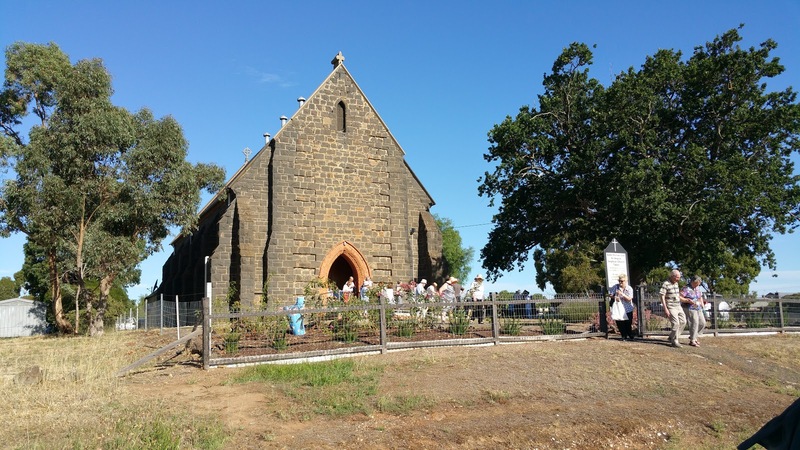 Today’s concert was held at St Paul’s church East Ballarat, where my great great grandfather was married.